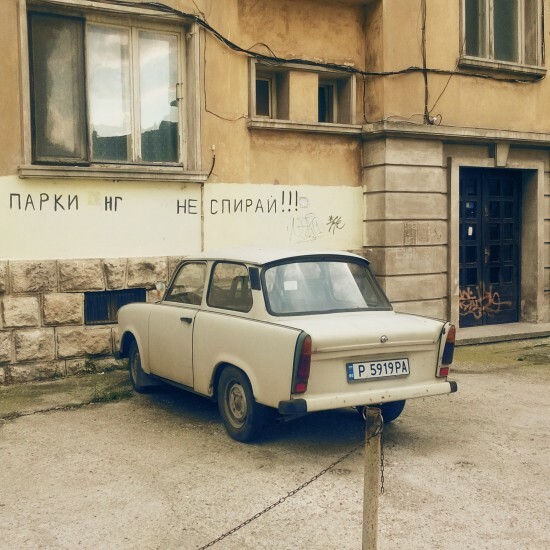 Spotted a former East German Trabant 601 aka Trabi in Bulgaria, parked in a private parking lot. Can you read the handwriting on the wall? The Trabant 601 was manufactured in East Germany (former DDR) till 1991 without any signficant technical improvements, which rendered the two-stroke engine car outdated soon after its introduction in 1963. Hi, I am currently on vacation in Bulgaria, and found this funny looking parking lot in a street near the city center of Ruse with a lonely Trabant parked there. The Trabant has become a rarity, curiosity and collector's item in Bulgaria such as the good old Soviet Lada cars. 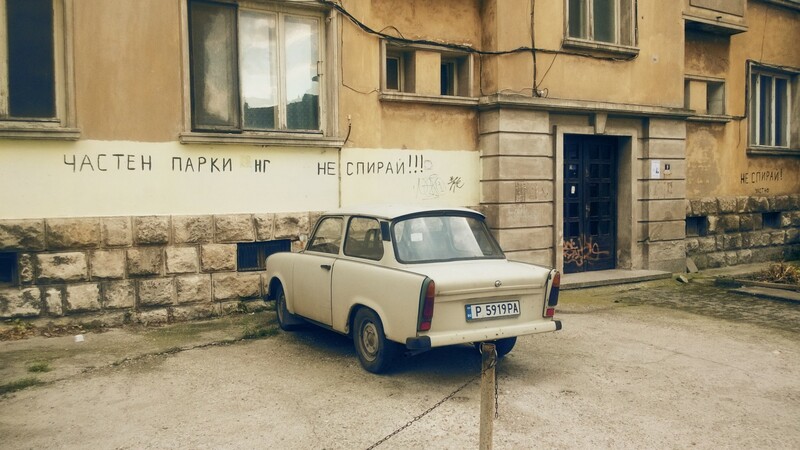 The improvised handwriting on the wall says: Private Parking Do not stop!!! What is your experience with the Trabant 601? Have you driven one? How was it?